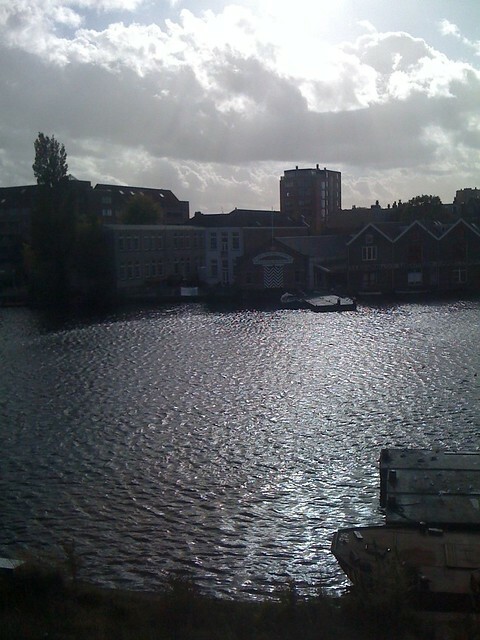 No, this isn’t me with no filter complaining about Amsterdam getting all the attention. Utrecht’s starting to get enough attention, especially with the upcoming Tour de France. 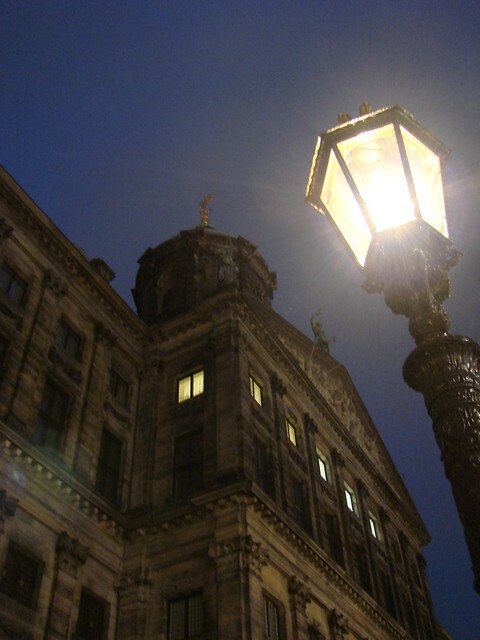 No, this is me highlighting a few of my photos of Amsterdam without any filter or fussing about with post editing. I was recently contacted about participating in London City Airport’s #NoFilter project. As they point out, with the wealth of high-quality point-and-shoots, as well as the increasing capabilities of smartphones, travel photos are easier than ever. Yet so often, people use a variety of filters on their photos, rather than letting the image stand on its own. Sure, there are times when we all use a few filters to fix a quick snap that didn’t turn out quite so well. Yet with practice and some helpful tips, you’ll find that there’s no reason to add a filter to every photo. Let the true beauty of the image speak for itself. Admittedly, I haven’t spent that much time in Amsterdam, especially just wandering around taking photos of things that catch my eye the way I do here in Utrecht. 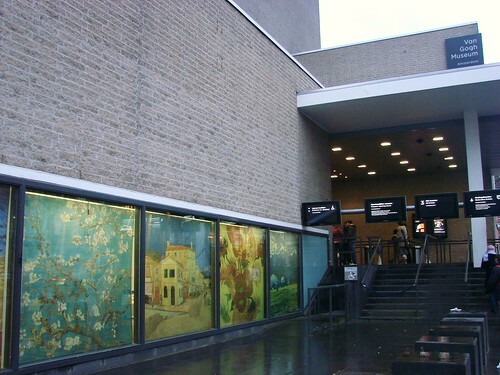 I tend to go to Amsterdam most frequently for concerts at Melkweg or Paradiso or to hit up one of the museums, including the Van Gogh Museum and of course, the Rijksmuseum. However, in looking through my photos, I realized that because I am there so often in the evening, I thought I’d highlight a couple of my night shots of some quintessential spots, and throw in a few night photography tips. 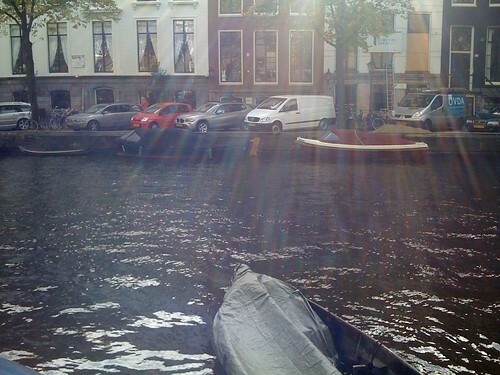 You can’t go to Amsterdam without getting at least one canal shot. Fortunately, low light doesn’t mean you’re out of opportunities. 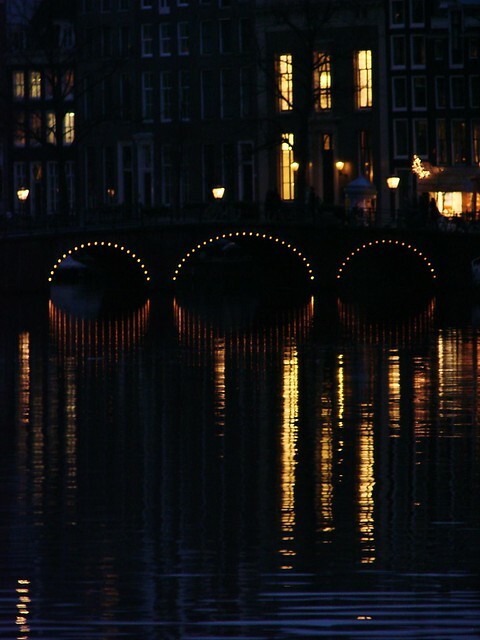 Many of the arches in the bridges are lit up in one form or another, and street lamps and building lights reflected in the water create some fantastic mirror-like shots. It was on a family trip to London years ago that my dad (formerly a professional photographer) shared a few night-time photography tips with me that have stuck in my head. When you’re working in low light, your camera aperture will need to stay open for longer to get enough light in to create something other than a solid black picture. However, with that long exposure time, any movement of the camera is going to give you a blurry image. If you don’t have a tripod (and who wants to lug one around on their travels), you need to use your body as a tripod to create as still a base as possible. Even the steadiest of hands are bound to wobble a bit, especially with a lightweight smartphone. Regardless of the type of phone you have, try to find a solid surface, be it wall, street lamp, or bridge railing that you can steady yourself against. Use both hands to hold the camera and try to plant your upper arms and elbows tight against your body, creating your own tripod, in a sense. 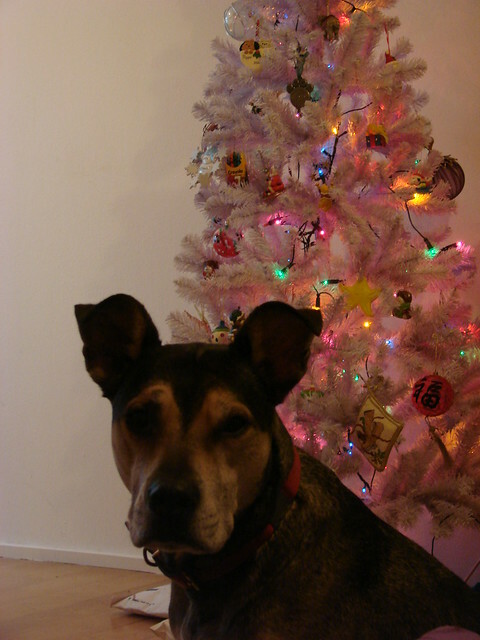 And for the piece de resistance, take a deep breath and hold it, right before you’re ready to take the photo. The extra breath will further solidify your upper body, making you less likely to wobble when you press the button. 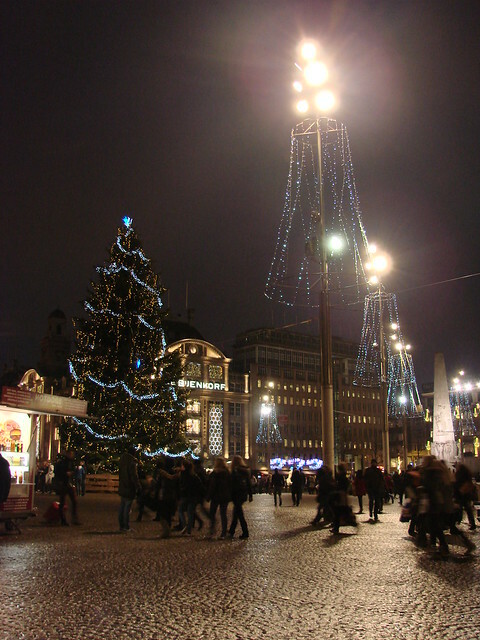 While in Damplein on one visit during the winter holidays, I enjoyed taking in the hustle and bustle during rush hour in the evening, set amid the festive Christmas trees and the historic buildings, including one of the royal residences. 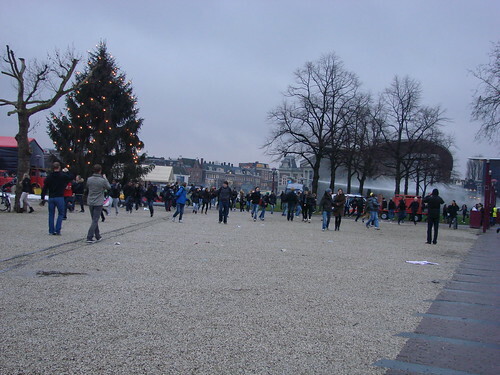 But even amid all of the people passing by, there were areas of the square that weren’t as heavily populated. By looking around — and moving around — you can find yourself with a shot that belies the madness surrounding you. In this shot, the architecture was what first caught my eye (that’s one of the royal residences on the left), but then I noticed the patterns in the ground and the shadow of the lamp post. I also liked the blue of the banners pairing with the blue of the evening sky, and the gold of the building pairing with the gold of the lamp light. To get the shot, I leaned up against one of those lamp posts to create my steady base. With the longer exposure, you can get fairly clear images of anything standing still, but any movement will blur. 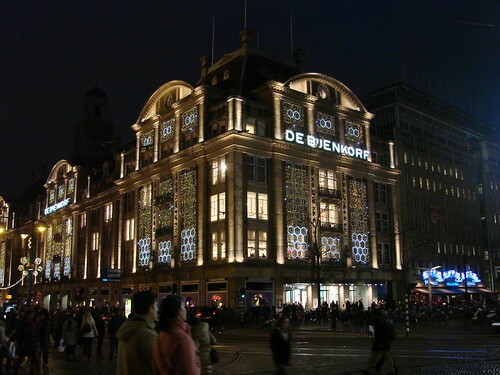 With the mass of people passing back and forth, that blur can add a sense of motion to an otherwise static image of a building, including the Bijenkorf, a grande dame of department stores. In other words, don’t be afraid to embrace a bit of blur. The thing is, as I’ve gone through my Amsterdam photos to find some to feature, and as I’ve thought about tips for getting good shots, I’ve found plenty of things I want to fix in all of these photos. However, I’ve also had more practice taking evening shots since then and have learned from some of my mistakes. Give yourself extra time to get good evening shots. You’ll have to think more about your light sources and finding a way to give yourself a steady base. Even if you don’t have a lamp post or building to steady yourself against, borrow a travelling companion’s shoulder, if nothing else. You’ll be pleasantly surprised at how much better your shots turn out. But even if you do just grab a few quick snaps on the go — and you’ll find plenty to catch your eye in Amsterdam — embrace the blur and the not-so-perfectly framed shots and remember that not every photo has to be gallery perfect. All of those less-than-stellar shots should still serve as valuable personal memories of a trip to a truly fun city. In my case, I know these photos aren’t going to win me the #NoFilter competition, but I’m sure judge Duncan Rhodes from The Urban Travel Blog will have plenty of spectacular photos from which to choose. Do check out #NoFilter on Twitter and the other sites linked to see some of my fellow travel bloggers photos and tips. 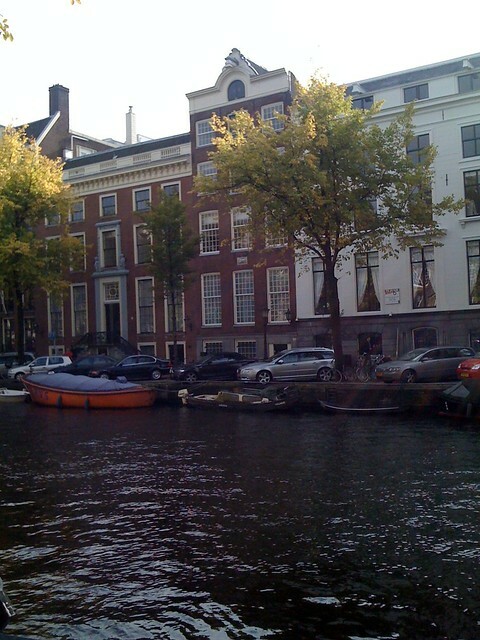 I was in Amsterdam today for a potential job — keep your fingers crossed for me, please — and I snapped a few photos of some of the canals and river. Perhaps tomorrow I’ll finally do a real post. 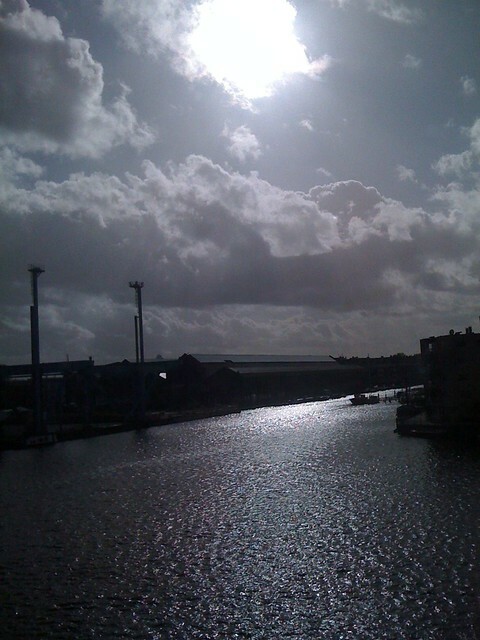 For now, lots of shiny water. Scrolling through Twitter this afternoon, I saw a headline reading, “Amsterdam is one of Europe’s murder capitals, says Eurostat”. Of course I clicked through. 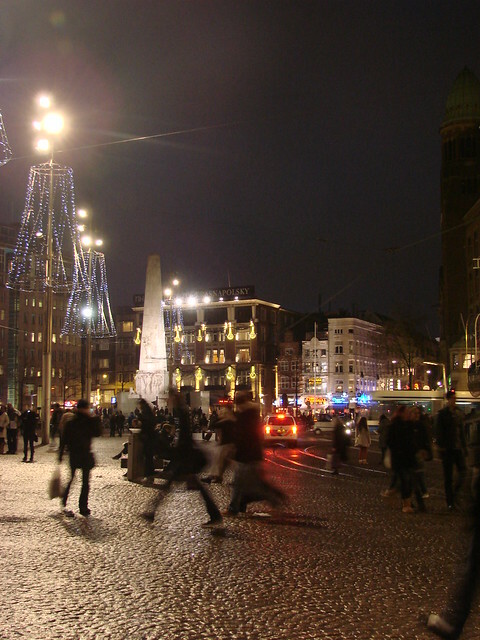 It turns out that between 2007 and 2009, Amsterdam ranked fourth on the European murder rate table, with 3.65 murders per 100,000 people during that time period. First through third were Vilnius in Lithuania (7.9), Tallin in Estonia (6) and Luxemburg (4.24). For what it’s worth, Brussels is in fifth place at 3.09. 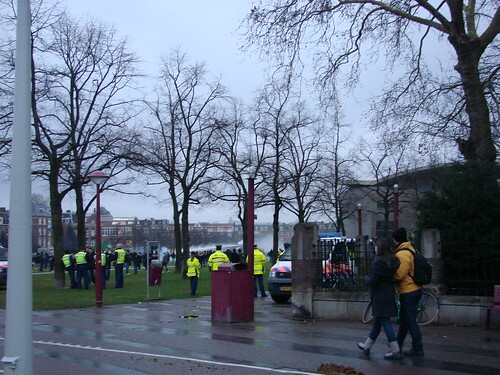 Another way of looking at it all is that there were 19 murders in Amsterdam in 2008 and 31 in 2009, with five of those being related to Albanian gang violence. One murder is too many, but seeing numbers like that helps to put things in perspective, one way or another. The year I graduated from university in New Orleans, Louisiana, the murder rate in the city reached record levels. In 1994, 421 people were killed (85.8 per 100,000 people). That averaged out to more than a person a day, every day, for a whole year. To date, no other major city in the US has had that high a level. In fact, New Orleans has held the unfortunate title of murder capital of the nation over a number of years since the 1990s. I still love New Orleans and never let the crime and corruption get me down, even when I lived there. In fact, I generally felt quite safe living there. As always, you take appropriate precautions, be sensible, and try to avoid known trouble areas. I was a fortunate university student, though. The problem is that a lot of people living there find it much harder to avoid the dangerous parts of life in the city. My time there was a lifetime ago when you factor in Katrina. One can only hope that there are more and better opportunities for everyone to avoid the kind of lifestyle that leads to those kind of murder numbers. As I said, even one murder is too many, but I’d much rather see Amsterdam’s numbers than New Orleans. I’m not sure if I’m really trying to say anything with this post. It’s simply that reading the article today took me back to my time in New Orleans when the growing murder rate was discussed daily. If you were in New Orleans in 1994, I’m pretty sure you understand why my mind goes back to that time. On the plus side, I do know that a fellow Tulane alum is now working nationally to reduce gun crime. ETA: In a vaguely relevant way, I was also amused when I saw the headline today that said, “One of Britain’s most wanted is arrested in Amsterdam”. Why is this amusing? Well, because police in Amsterdam, Utrecht, Rotterdam, and Den Haag were all on strike today for a few hours. I was impressed that they managed to arrest Britain’s most wanted even while on strike. However, it turns out the guy was caught yesterday. So I guess they tidied up their desk, so to speak, before heading out on strike. How considerate! I known I’m becoming a broken record on this topic, but I wouldn’t be if all of the travel magazines and websites weren’t broken records themselves. Just a few weeks ago, Mark Bittman, noted food writer, did a piece about Dutch cuisine for the New York Times. Yet he didn’t actually leave Amsterdam when trying various restaurants for his article and complained that restaurants in the Netherlands weren’t embracing their traditional Dutch cuisine. Perhaps he should have expanded his search. Furthermore, I really feel like they changed the title of that article. It now refers specifically to Amsterdam in the title, but I’m almost positive the original title was something more general along the lines of In Search of Dutch Cuisine. That was one of the reasons the article bothered me so much originally, because it was supposedly about Dutch cuisine, but never went outside A’dam. What kills me is that we live in an age where everyone is so gung-ho to go off the beaten path and go to places that give you the real feel for the country and people, blah blah blah. Unless you’re visiting the Netherlands, it seems. Then you can’t leave Amsterdam. I sometimes wonder if people even know that there are other cities in the Netherlands. 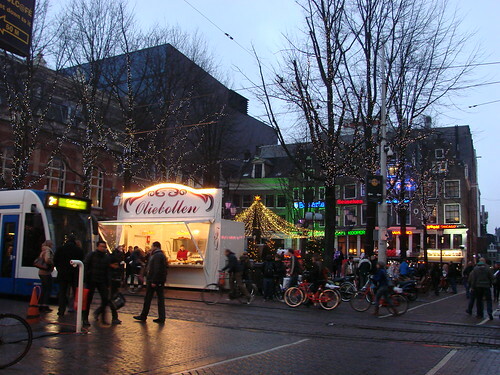 I’m pretty sure most people think that red-light districts and coffee shops are only in Amsterdam, which is very much not true. I mention these two things, because for a certain group of tourists, this is particularly of interest, especially the access to weed/pot/hash/ganja/maryjane/space cakes. People seem to think it’s only available in Amsterdam, when it’s quite the opposite. I can think of three coffee shops, just off the top of my head, that are within a five-minute walk (or much less) from my house. 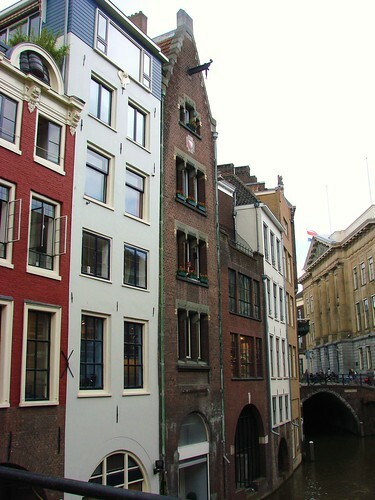 That’s not counting the various ones on the Oudegracht, if you prefer a bit more scenery. Even if that’s not your thing, there’s plenty to do in other cities and you can see the same damn canals and narrow houses that you’ll see in A’dam. You want tourist trinket wooden clogs? Trust me, you’ll find them somewhere in most big cities, and you may actually find some of the trinkets cheaper than in Amsterdam! Tourist traps aren’t for you? Then what are you doing in Amsterdam?! You prefer elegance, art, or something quirky? 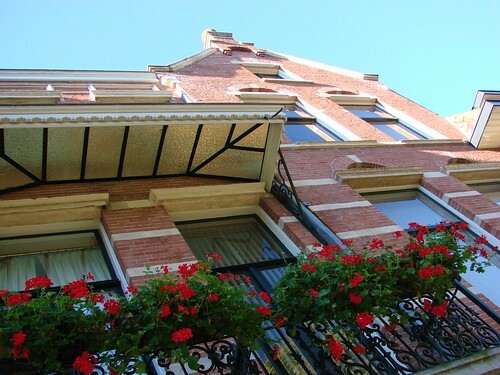 We’ve got the one-room hotel (Hotel Nieuwegracht) here in Utrecht on one of our famous and unique wharf canals. 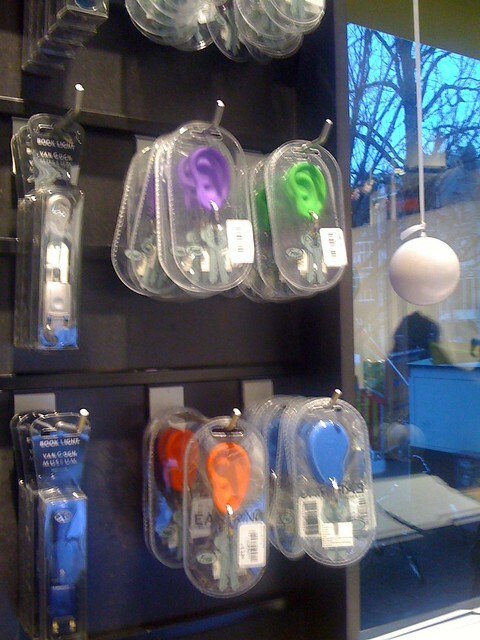 We’ve got innovative, modern fashion and homegoods in shops along Twijnstraat, Lijnmarkt, and elsewhere. We’ve got the stylish new Hotel Dom, with it’s attractive restaurant and bar right next door to the cathedral. We’ve got beautiful parks, fine dining, and interesting museums. We’ve got the Trajectum Lumen nightly art light displays that surely top any red-light display. We’ve got windmills! 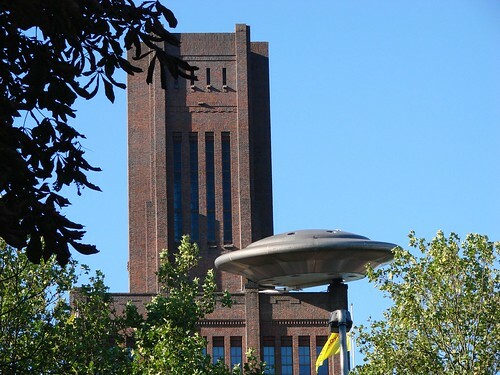 We’ve even got a UFO on top of a building! I recommend Utrecht, because it’s what I know, but really, there’s no excuse for every magazine and website to constantly focus only on Amsterdam. 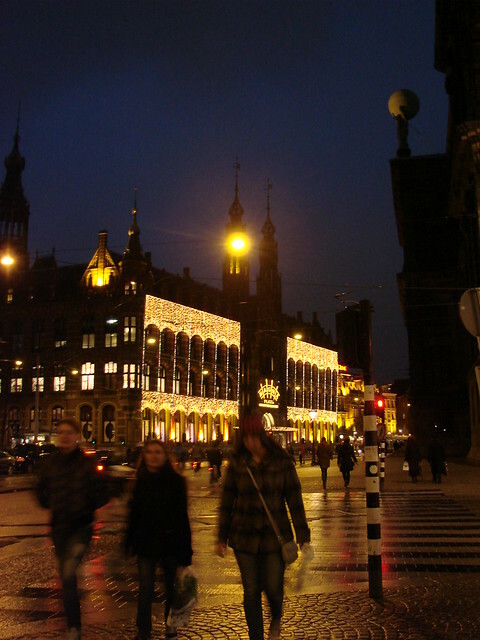 Den Haag (The Hague) is a beautiful city and more than just an international court. 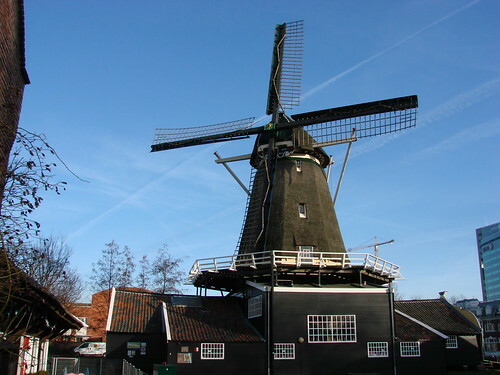 Rotterdam is a fascinating modern Dutch city. 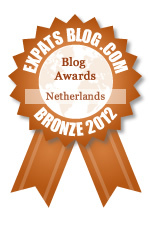 Arnhem is the green jewel of Europe. 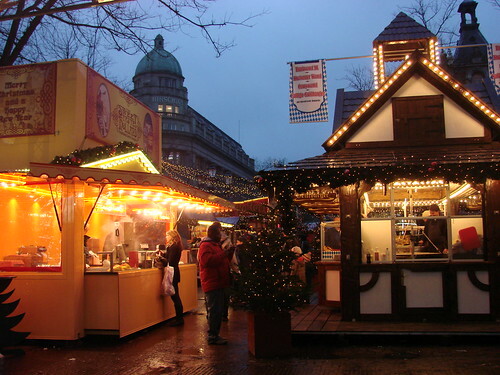 Maastricht gives you a southern take on Dutchness. I’ve worked as a magazine editor. I know how easy it is to run essentially the same story every year, especially if you’ve got a small budget. But when you’ve got Condé Nast and American Express Publishing Company behind you, you’ve got the budget to search out new and interesting places. That means you’ve got no excuse to be doing the same tired article about visiting Amsterdam that everyone and their mother has already published a million times. 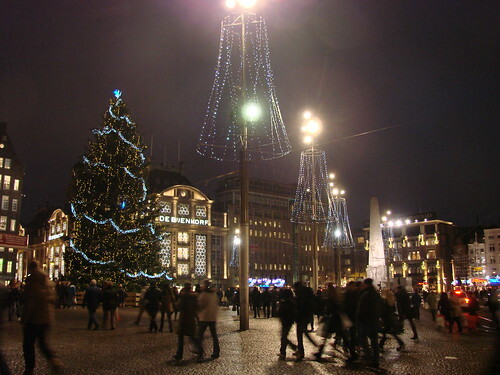 If it’s your first visit to the Netherlands, then of course you should visit Amsterdam. You can even make it your base. But if you’re staying more than a day or two, why not visit other places? Especially when those places are sometimes only a half-hour train ride away. You probably travel that long just to get to work each day! Be that traveler who takes the road less traveled, who lives with the natives, who goes off the beaten path. The best part is that here in the Netherlands, you can do all of that in stylish comfort and you probably won’t have to eat anything too weird. Well, except for the herring. Mmmmm. Lekker! 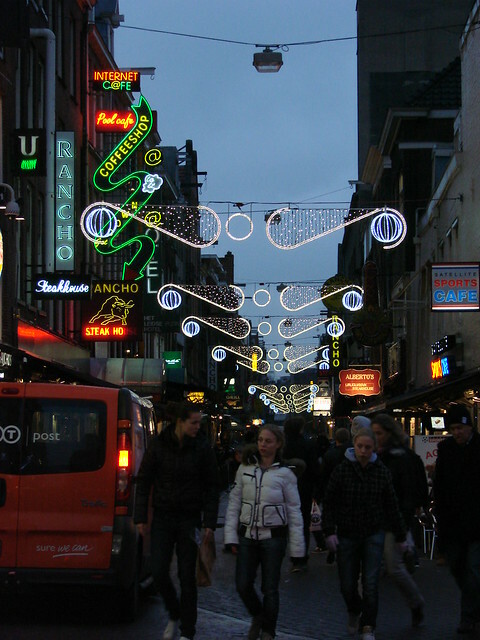 One of the things I like about Dutch cities is the way they use a variety of lights to add to the overall appeal. You can make the most of cheap holidays by simply wandering the streets of any decent-size Dutch city — Amsterdam, Utrecht, Gouda, Delft — soaking up the sights and the sounds. Many of the canal bridges throughout the country often have special lighting of some sort, turning a simple walk through town into a fantastic light show, as you can see in this photo of one of the many Amsterdam canal bridges. 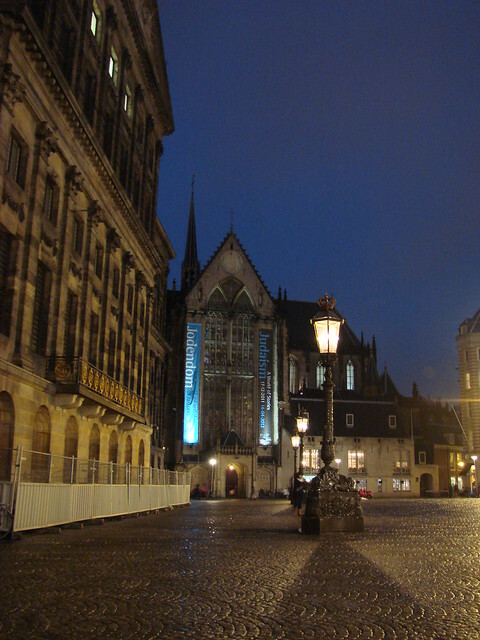 Of course, Utrecht has taken it all to new levels with the Trajectum Lumen light art display. Every night, you can enjoy everything from simple blue lights under the canal bridges to high-tech digital light displays in hidden canal nooks. Don’t you just love when you’ve got friends visiting and you get to take them out, show them around, and get them to the fringe edge of a riot? 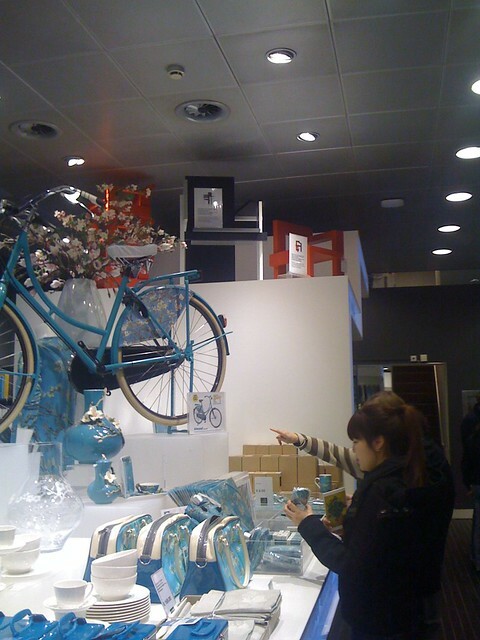 That’s what I did yesterday when I took a visiting friend to Amsterdam. We had a bit of culture first, with a visit to the Van Gogh Museum, and then took in a bit of political protest-turned-riot. Water cannons, included! 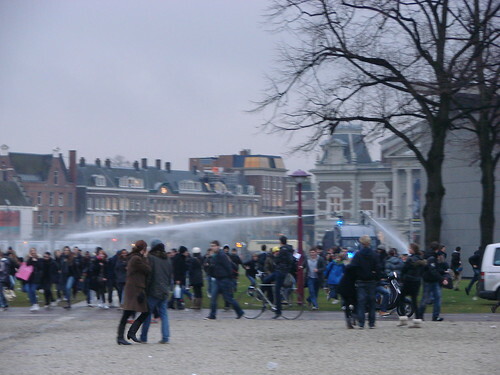 A student protest had been taking place in the Museumplein behind the Van Gogh Museum. That explained the unusually large police presence we’d seen in front of the museum. There had been vans full of police who looked a bit more paramilitary than your average street copper. As we left the museum, we heard and saw a few fireworks coming from behind the museum, but I figured it was just people setting off New Year’s fireworks a bit early. After all, we’ve been hearing fireworks here in Utrecht for the past week or so. The fireworks soon stopped and we decided to head over to the Museumplein to be touristy and see the I Amsterdam sign/sculpture. As we rounded the corner, we suddenly saw a lot of young people and a lot of police. 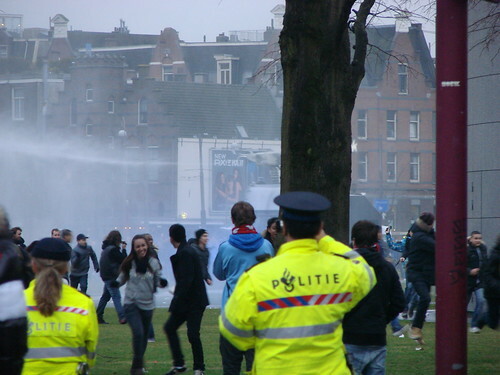 Then we saw the water cannons. Then we saw people scattering, running toward us, as the huge tank-like vehicle with the water cannons started racing around the field where the protest had taken place. To be honest, I think the students who were left on the field were probably the ones least invested in the idea behind the protest. A lot of them just seemed to be having fun running away from the water. I think the more serious students had already left when the protest had broken down into small fights and random acts of idiocy. 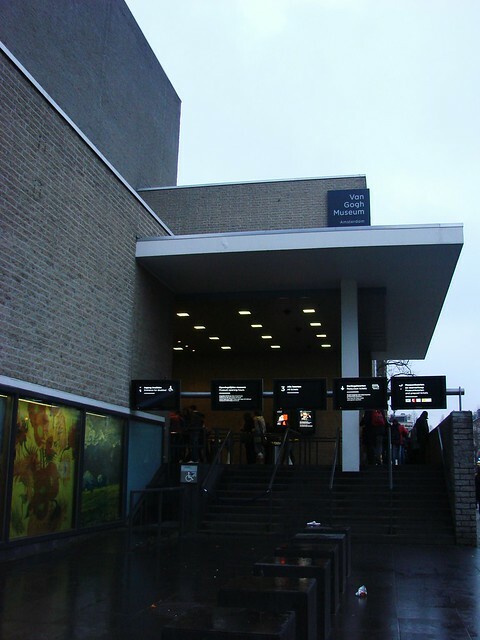 As we were leaving the museum, we had seen a large group of students standing together outside of the museum, many with purple scarves of some sort tied around their heads or necks. I honestly hadn’t known who or what they were, so I thought they were just one of the school groups visiting the museum or something similar. When I finally saw a news story about the day’s events, I realized they had been part of the protest. For the record, the protest seemed to be based on a proposal by the education minister for longer school hours. The students were protesting that they would be “confined” despite not having enough teachers to actually teach any classes for this additional time. 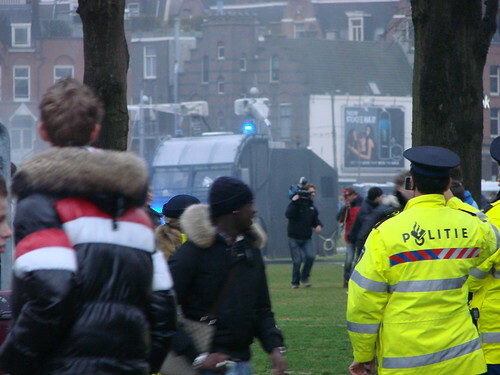 For those of you who can read Dutch, there’s an article about the protest here at nu.nl. I suspect the original protest had some merit, but was ruined by those who just want to cause trouble. Regardless, it was certainly an interesting sight to see. I’ve never seen water cannons in use in person before. The whole experience was a bit surreal. 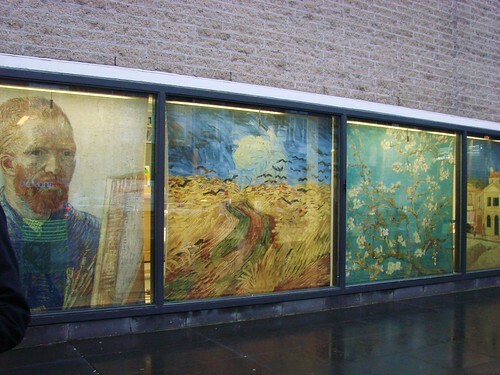 To go from admiring the works of a great artist to suddenly stumbling across rioting next to a major tourist spot in the middle of Amsterdam was odd. To be taking photos of the water cannons and then taking photos of the I Amsterdam sculpture while the water cannons continue behind me felt a bit weird, as well. A bit like fiddling while Rome is burning.